Versatile and vibrant, carpeting gives us thousands of ways to floor: it’s no wonder so many of us prefer a soft-surface floor. When you’re walking on carpeting, comfort is ever present. At Meelan’s Carpet One Floor & Home, we love carpet for its rich textures, patterns, and colors and our experts can help you meet your perfect match. When you’re tasked with creating your ideal interior environment, there’s nothing quite like carpeting. Adding texture and ambiance, carpeting is available in countless styles, guaranteeing your perfect match. Here are a few things you should know as you begin searching for your dream carpet. Your carpet’s functional capabilities are largely determined by its fibers, or pile. Carpet pile can be manufactured from either synthetic or organic materials. We recommend opting for a pile that’s not only a good match for your décor scheme, but also one that’s compatible with your performance needs. For example, certain types of pile are renowned for stain resistance and can handle heavy usage, while others are primarily designed for certain aesthetics. Carpeting can be installed in both residential and commercial environments, but it’s always smart to choose your carpet with care. Your home’s entryway, or perhaps a commercial conference room, might fare best with heavy-duty carpeting designed specifically for heavy foot traffic. For homes with small children or pets, consider stain-resistant carpeting for your family room, kids’ bedrooms, or living rooms. One general rule of thumb: most carpets aren’t equipped to handle heavy humidity or moisture, so we’d advise picking a different type of flooring for your kitchen, bathroom, or laundry room. Meelan’s Carpet One Floor & Home in Yorkville, NY is the region’s foremost hub for all types of carpeting and related services, including area rugs, in-house carpet binding, braided rugs, and in-stock carpet remnants. As active members of the international Carpet One Floor & Home cooperative, we’re a locally owned and operated store that has the unique ability to offer customers unbeatable purchasing powers. Here, you’ll encounter many trusted, familiar carpet brands, as well as Carpet One Floor & Home exclusive brands we think you’re going to love. Among our current inventory are carpets made by Karastan, Masland, Stanton, and Nourison. Visit our showroom today, and discover the co-op difference as you explore your carpeting options. Are you a total trend-setter? You won’t to miss these trendy designs incorporating all the latest carpeting products- after all, imitation is the sincerest form of flattery! 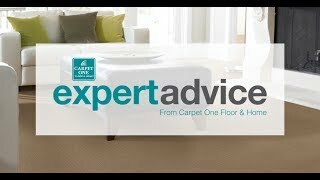 Keep you carpet clean and pristine with these simple tips. Our experts advise regular deep-cleansings, among other easy steps, to keep your carpet’s colors shining bright.